Cover. 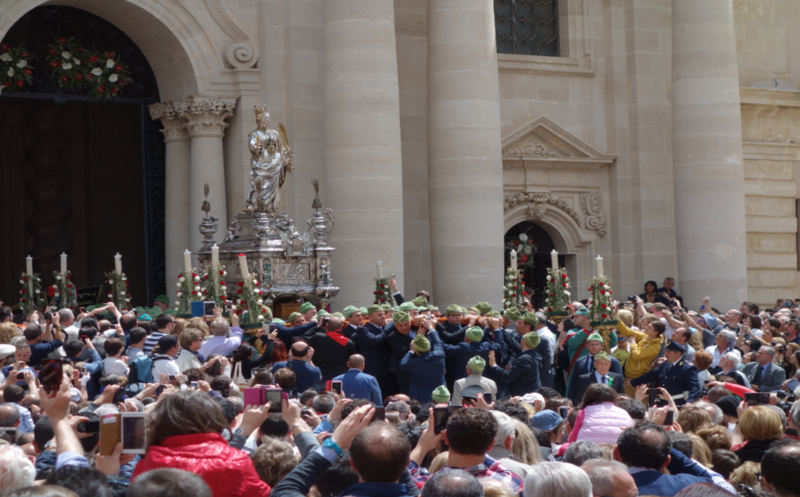 The Saint Lucia's Day parade in Syracuse, Sicily. 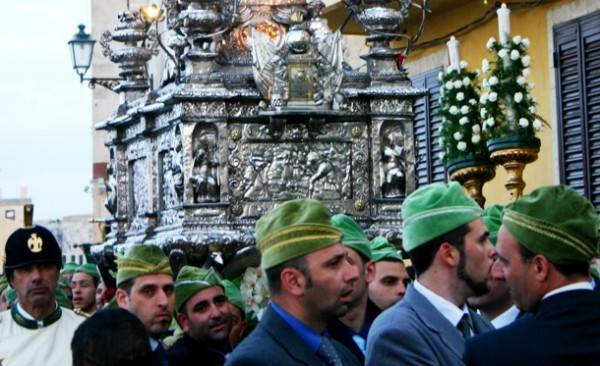 The feast is a Catholic celebrated holiday with roots that can be traced back to Sicily. St. Lucia is the patron saint of the city of Syracuse. 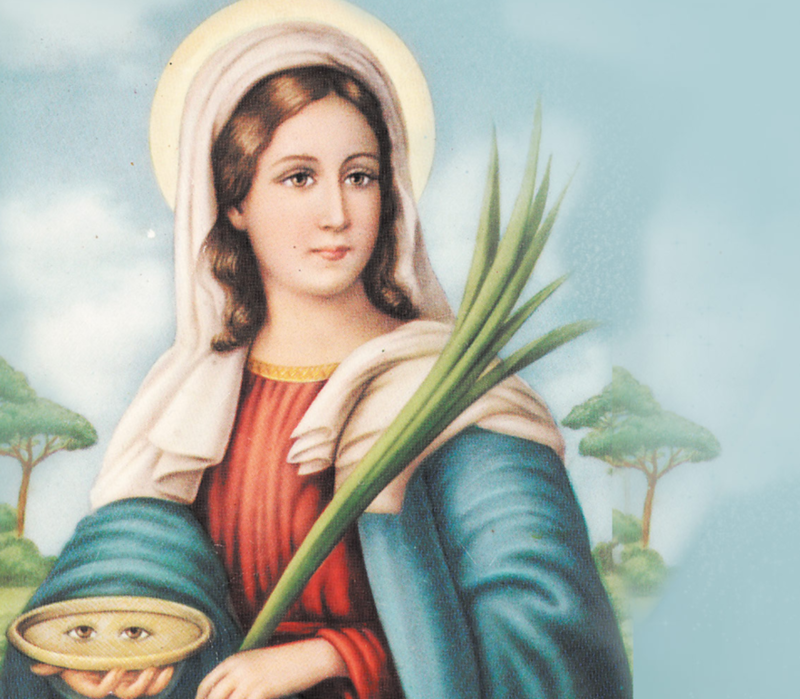 She has been venerated as the patron saint of the blind and is frequently shown holding her eyes on a golden plate. Perhaps not coincidentally, Lucia’s name derived from the Latin lux or lucis for light (luce in Italian). Her feast day once coincided with the Winter Solstice, the shortest and darkest day of the year before calendar reforms, and has accordingly become a festival of light. 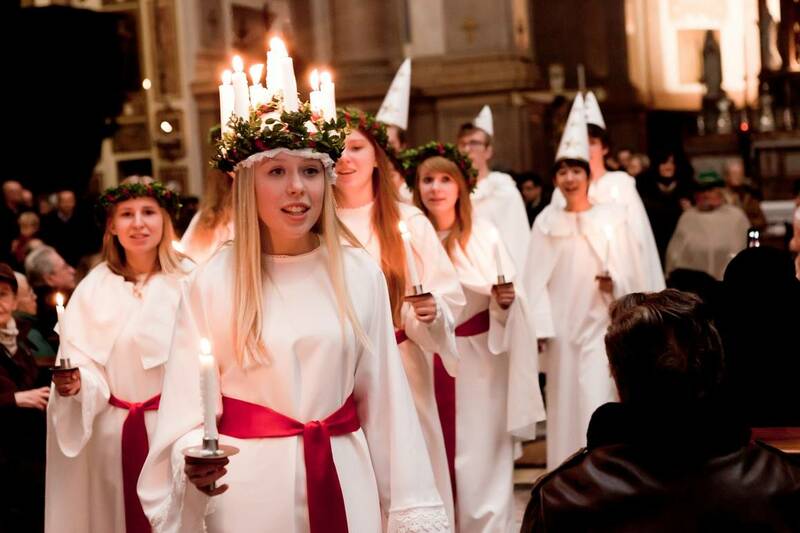 As it falls within the Advent season just 12 days before Christmas, Saint Lucy’s Day also points to the arrival of Christ, the light of the world. 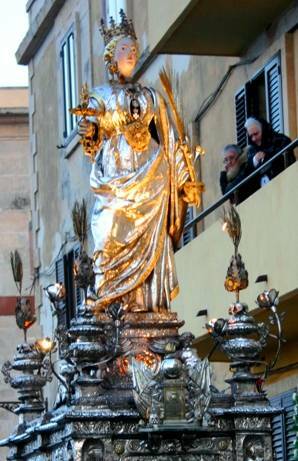 Lucia is also the patron saint of her hometown, Syracuse, Sicily. In fact, she gained greater fame here when the great Sicilian famine of 1582 ended on her feast day, thanks to the ship loaded with wheat that entered the harbor. Rather than processing the wheat into flour, the starving people simply boiled and ate it. Now, Sicilians honor her memory by abstaining from anything that is made of wheat flour on December 13. 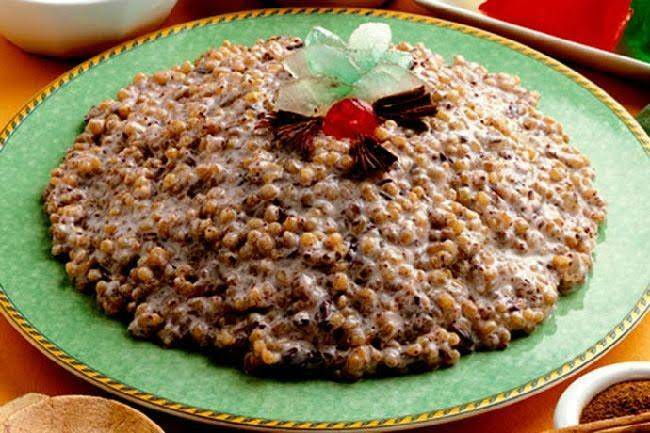 Traditionally, they eat whole grains, which usually take the form of cuccia—a dessert of boiled wheat berries sweetened with ricotta and honey.